15 years later and the internet is STILL ridiculously primitive. I want the entire internet to be in 3d, voice controlled (with perfect translation with any accent), hand-gesture controlled, and virtual reality like the movie "Johnny Mnemonic." And oh, I want the internet to respond to my thoughts. I just want to think about what I want to happen and it happens. I'm a business man, that's all you need to know about me. Actually the internet has evolved quite fast considering other electronics and other technological advancements. Most of what you are talking about prolite is on the verge of becoming created and/or are in beta testing stages right now. Facebook grew to become the largest website in the world in just seven years!!! Google Plus is growing even faster. Its just primitive to us future thinkers because we can think about what it WILL become later on. But it has grown significantly fast! This was 27 years ago. In 2038, we'll look back on computers of 2011 in the same way. ahead of its time, it took 10 years for others to catch up. 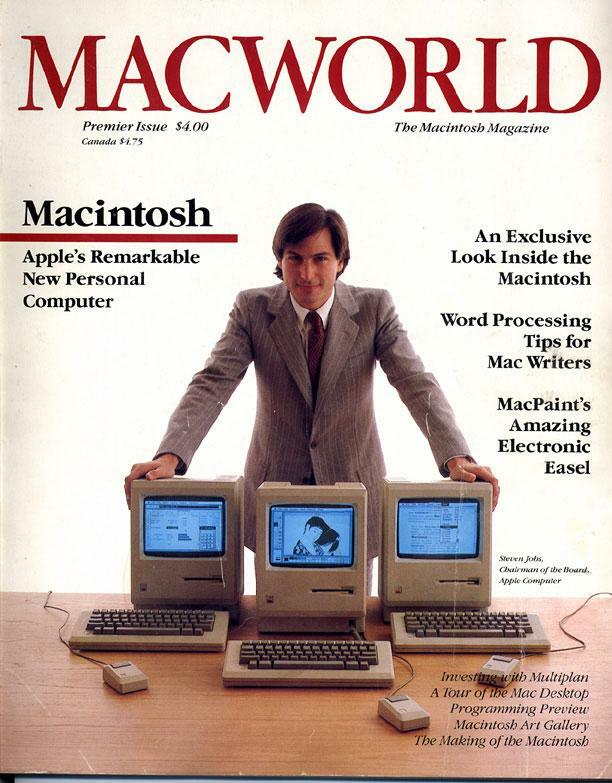 Why was everyone cheering and clapping when the words "Macintosh" came on the screen? I guess that audience was extremely brand loyal. The audience seemed very impressed with the technology. Whereas today, that technology is laughable. Actually, it's downright embarrassing. But to be honest Wjfox, in 27 years from now, our technology will far exceed the pace of technology that we've seen the past 27 years. In 20 years from now, quantum computers will be a reality and our entire world changes. They didn't know any better back then, what Apple would evolve into. Apple was a brand new company, for the most part. That was a first demonstration. Of course people are going to cheer for a personal computer that they can quote "actually use." I guess that audience was extremely brand loyal. The audience seemed very impressed with the technology. Whereas today, that technology is laughable. Just like every audience at every Apple expo or product release ever since. The launch of the iPhone is an especially cringeworthy event to watch. Apple triggers the same chemicals in brains as does religion. I wonder what computers are going to be like in 30 years from now. Does anyone think they'll be as fast as the human brain? Steve Jobs quitted his position as Chief executive officer. Apple's never gonna be the same. Apart from what they say about Apple, Steve Jobs and Steve Wozniak built their revolutionary computer in that time in a garage. Jobs is one of people who created technology and the world we live today. Steve Jobs will likely pass away before the end of this year. He is very ill. I don't like that picture. It is extremely sad. No one should have to suffer through cancer.